Goose and Berry are boutique and bespoke caterers, combining excellent service and seasonal, local produce creating a luxury experience. They are based in Marlow & London and cover London, Buckinghamshire, Berkshire, Oxfordshire and the Home Counties. Goose and Berry Weddings are luxury wedding planners and stylists who can help you create your dream wedding day with fun, flair, style and elegance. 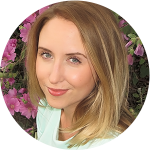 We met up with Emma Riddell who is the in house planner to get her opinion on one of our favourite ways to style your tables – tablescapes! Tablescapes are a really a more elaborate way to dress your tables and in addition to centrepieces often include other items to style your table in a co-ordinated way. It’s key to make sure centrepieces, linen, crockery, cutlery, glassware, place cards, menus and décor were all chosen specifically and for a reason, be it shape, pattern, colour, texture to add another dimension to your table. This ensures a fully styled and seamless look. Centrepieces are a big part of the tablescape! They don’t always have to be floral, but (and if you’re anything like me and adore all things floral) they help create a focal point and look simply stunning. Working closely with your florist, like the wonderful Tarnia, you can create traditional, modern or even alternative tablescapes to suit your wedding theme. You can see examples of our collaboration here – a beautiful luxe tablescape perfect for late summer and autumn weddings with a woodland vibe. 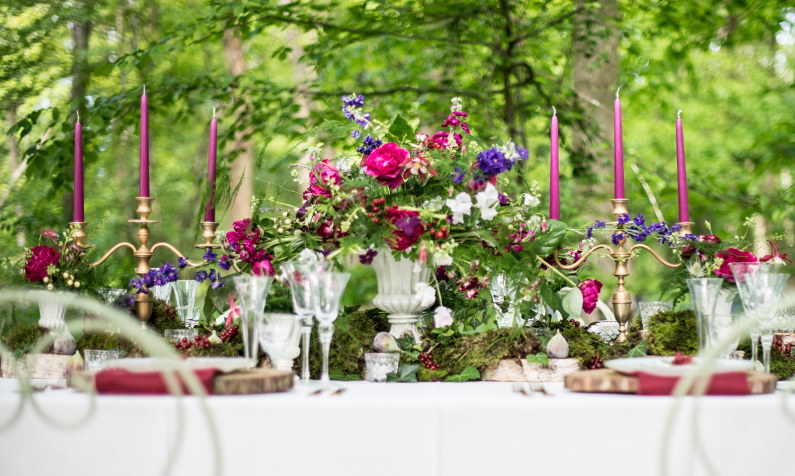 Stunning rich reds and purples were used with wild foliage and the clever use of urns and logs to build texture, depth and impact. And it’s no accident that the cake and food co-ordinate seamlessly! This look is fairly elaborate however there are some clever tricks you can use to amp up your table style. Next up is crockery and cutlery. There are so many shapes and styles and colours available that will enhance and co-ordinate with your theme. Charger plates are also worth considering to help add impact on the table. Glassware is really important. Consider the number of glasses required at each place setting and choose stemware that will wow your guests. You could even source personalised champagne flutes to double up as favours. Stationery placement. You may well have already thought about the design but where is it going on the table? Does the table name need to be incorporated into the flowers? It’s a great idea to mock up a place setting and test where menu, place cards and table numbers look best. You may have other décor such as props, table crystals, quizzes or photos that you would like incorporated into the tablescape. Make sure all these items work within the theme and if in doubt – leave it out! If you want to see more of Goose and Berry’s work take a look at Berry Luxe – An Inspirational Wedding Photo Shoot In The Buckinghamshire Woodland.